Buying Locally Grown Tomato Product | Chatham-Kent Agriculture Development | We Grow For the World! The recent announcement by Heinz to close their Leamington facility has hit us all hard. The effect of this decision on the town of Leamington and the surrounding areas will be very difficult. But they will get through it. There are likely many reasons Heinz closed this plant. It was their decision, but it does leave all of us with that sick and empty feeling. We all know that Heinz produced many products at that plant, but most well-known was the ketchup. In fact, Heinz ketchup makes up about 80% of all the ketchups in the marketplace. I have been asked what other tomato products are on store shelves. Our farmers grow tomatoes for a number of processors in our area, and here are some of those processors and their products. Weil’s Food Products in Wheatley sell under their ‘Stoney Creek’ label. Harvest-Pac in Chatham built a new plant in the mid 90’s and they run tomato products for the foodservice and commercial sectors under the Harvest-Pac label. Some of our tomato growers also supply Sunbrite Foods under the Unico and Primo labels. Some of our tomato growers also supply Thomas Canning under their Utopia label. In addition to the labels above, mostly all of these processors supply the major food chains and their respective private labels at stores such as: WalMart (Great Value), Sobeys/Freshco (Compliments), Shoppers (Everyday Market), Zehrs/No Frills/Superstore (President’s Choice), and Metro (Our Best). The important thing for you to understand as a consumer is to buy tomato products with the ‘Product of Canada’ label. 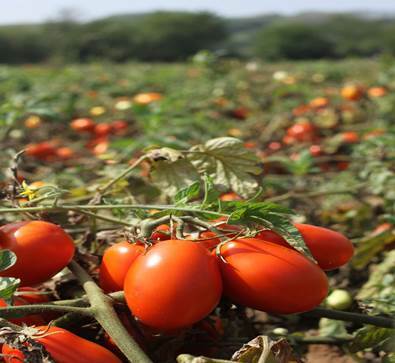 If you do so, whether you buy a company’s tomato product, or a private label tomato product, if the can or bottle says ‘Product of Canada’, then the tomato products inside that container will have come from either Chatham-Kent or Windsor-Essex areas. Think about this – God is far more interested in who you are than in what you do.